With out-of-control college costs a reality, it’s not surprising that parents and their children are especially interested in colleges that are springboards to good-paying jobs. Unfortunately, it’s hard to know what the schools are. As I’ve mentioned before, the job statistics that colleges and universities share with prospective students are laughably misleading. Low percentages of graduates participate in these employment/grad school surveys and those that do are more likely to be employed. After all, if you’re an unemployed college grad who is living back with his/her parents, would you to share that with your alma mater? What’s frustrating about the lack of meaningful information is that it doesn’t have to be that way. It is technologically possible for the federal government to create a national database that would include the average starting salary of students attending any school in the country along with a salary breakdown by academic majors. The stonewalling could be ending on the national level as college costs and debt becomes an ever growing issue. In a hopeful move by a bipartisan group of senator introduced a bill earlier this year, which would end the censoring of this information. 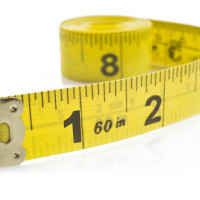 College Measures will be adding Florida salary data soon. With this data, you can now find out, for instance, what the average salaries that a new biology major or a petroleum engineer at the University of Texas at Austin is earning. You can discover that business majors at the University of Richmond are earning more that grads of all other Virginia schools including the University of Virginia. Taken as a whole, the data from the five states show that strong earnings are not tied just to the most prestigious campuses in a state. 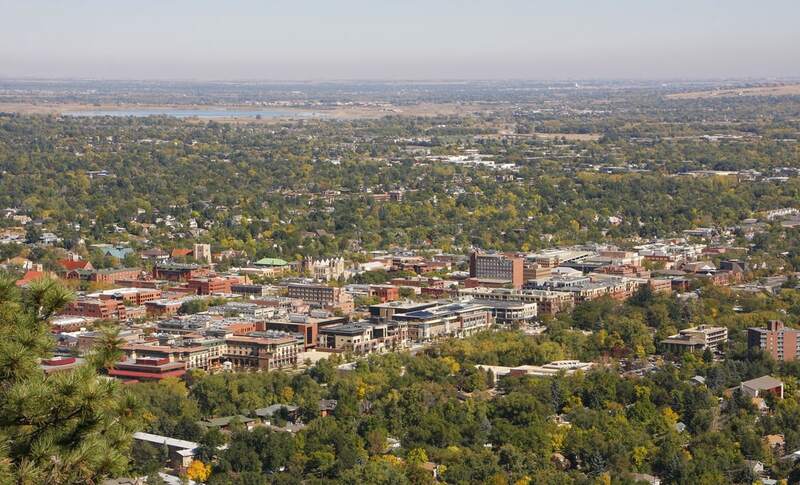 In Colorado, for instance, the average first-year earnings of graduates of Regis University ($53,705), the University of Denver ($39,094) and the University of Colorado-Denver ($43,804) were greater than the state’s flagship institution – the University of Colorado at Boulder ($37,735). College Measures, which received funding from the Lumina Foundation, a prominent higher-education benefactor, has been helping states pull together data that often exists, but hasn’t been utilized in this way. Earlier this year, I talked about the organization’s mission to make salary data available to families with Mark Schneider, the nonprofit’s president, who is a vice president at the American Institute for Research and a professor emeritus at Stony Brook University. 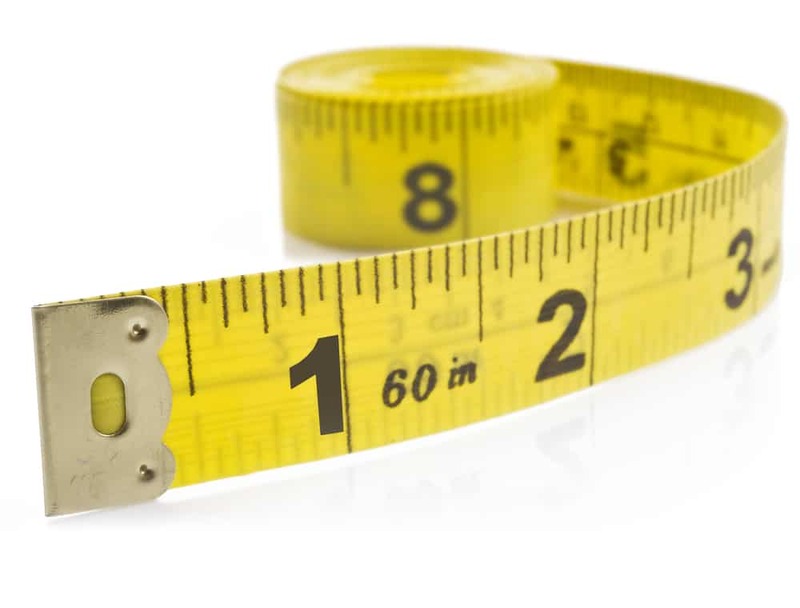 To protect privacy, CollegeMeasures.org only reports program level data using rolling five-year averages. If there aren’t at least 10 graduates in a major, the information isn’t reported. How does the data reflect students who go on to graduate school right after colleges and so don’t have a salary to report? Would a school sending lots of kids to grad school look deceivingly bad in the calculations? I like the College Measures site, especially for the handy dandy look at retention rates and graduation rates. I can’t understand the average salaries of graduates, though, unless I know that they are somehow “forgiving” a school for a graduate who is grad school but not earning a salary yet. 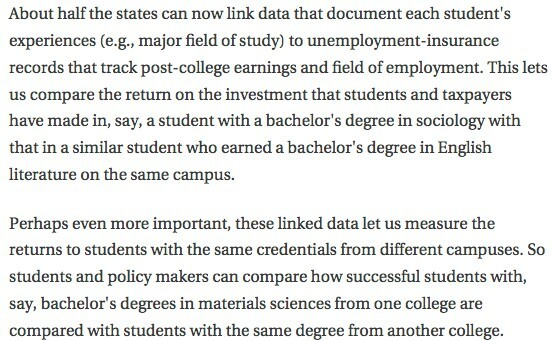 The state data only includes students who go on and obtain a job after a bachelor’s degree. Those who go on to graduate school are not counted. Also, if a student leaves the state, he/she isn’t counted. A federal database would take care of the issue of salaries of those who move after graduation. That’s what we really need — a federal database if Congress would end the prohibition against one! By the way, PayScale also only includes salaries of those who work after obtaining a bachelor’s degree. How does this data control for the biggest variable in the equation — the basic student population skills, abilities, and motivation between the various schools? This is essentially comparing the averages between different population sets under the assumption those population sets are the same. Yet we know that different school cultures attract different population sets which may lead to different outcomes in the analysis shown.